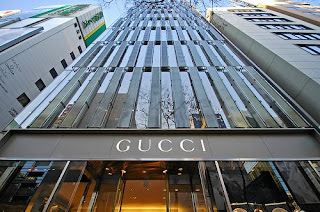 Goods by Gucci, however, top the lists of luxury brand lovers. That's according to an online survey conducted late last year by The Nielsen Company, a market research firm. 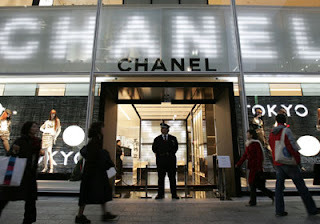 It asked 25,000 consumers in 48 countries which luxury brand they would buy if money were no object. Besides Gucci respondents chose Chanel, Calvin Klein, Louis Vuitton and Christian Dior. It's easy to see why Gucci reigns. Worldwide sales, though recently tapered, have jumped since Mark Lee became president of the company in 2004, then CEO the following year. In 2007, sales increased 11%; that's on top of a 17% increase in 2006 and a rise of 18.4% in 2005. Gucci is a part of the Gucci Group, which has a number of fashion brands in its portfolio, including Yves Saint Laurentand Sergio Rossi. PPR, a French holding company publicly traded on the Euronext exchange in Paris, owns the Gucci Group. "Gucci manages to offer high fashion and very commercial items," That red and green stripe is some of the most iconic luxury branding ever created, and people want a piece of it." What would you buy if money were no object? 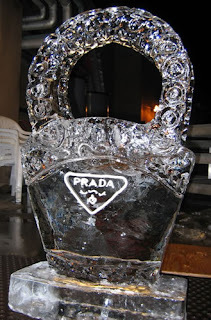 Weigh in..
"People in Asia can pick out a fake bag like no one I've seen," says Boyd, "But in the U.S., people are less aware and less concerned, because in the U.S. luxury brands are considered more mainstream..
Guccio Gucci founded the House of Gucci as a saddlery shop in Florence in 1906. A century later, the company's horse bit and stirrup motif is an enduring symbol of luxury. He started out selling leather bags to horsemen in the 1920s and progressed to luxury luggage as his clients graduated from equine transportation to horseless carriages. Today, with Frida Giannini at the creative helm, handbags with the interlocking double-G logo are among the company's biggest money makers. Chanel is one of today's best-known fashion brands, and has been practically since it was founded by Coco (Gabrielle) Chanel in 1909. Coco Chanel established herself as the 20th century's single most important arbiter of fashion by offering women no-nonsense, elegant, relaxed and functional clothes. Today, the tweed Chanel suit with a nipped-at-the-waist cardigan jacket remains one of the most popular--and most copied--fashion staples. In 1983, Karl Lagerfeld reinvigorated the brand with a dose of sexiness. He's been designing the collection ever since. In 1968, Calvin Klein and an investor started the company as Calvin Klein Limited with a small line of men and women's coats. In the '70s, Klein won two Coty Awards for his minimalist styles, and by the middle of the decade he had created a designer-jeans craze by putting his name on each pair's back pocket. Advertisements featured a 15-year-old Brooke Shields who famously said, "Nothing comes between me and my Calvins." In 2003 Phillips Van Heusen acquired the brand, and today there are three tiers within the collection ranging from high-end pieces to moderately priced casualwear. 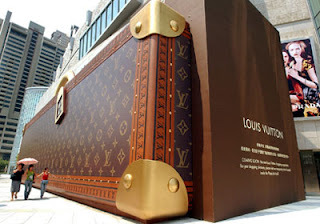 The French luxury fashion and leather goods brand, now a main division of the French holding company LVMH, was founded in 1854 as a luggage retailer. The company is now known for its monogrammed leather handbags and employs designer Marc Jacobs as its creative director. 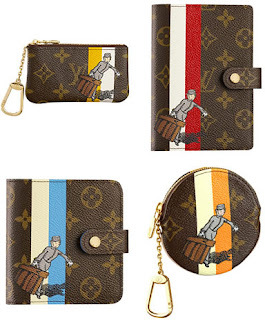 Keeping up with the demand for exclusive luxury, the company is collaborating with a series of artists for limited-edition handbag collections. The designer founded the company in 1945 and quickly became famous for the "New Look," a fitted jacket with a nipped-in waist and full calf-length skirt. 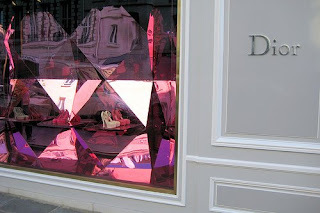 After the rationing of fabric during the World War II, Dior's lavish use of material was bold and shocking. Since 1996, chief designer John Galliano has been at the creative helm of the French fashion house, owned by the LVMH luxury goods group. Gianni Versace founded the Milan-based company in 1978. After his 1997 death, his sister Donatella Versace, formerly vice president, stepped in as creative director and his older brother Santo Versace became CEO. 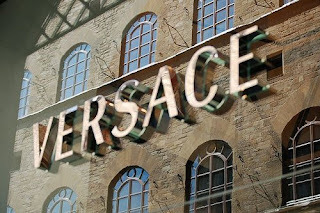 Today, despite talks of going public, the company is still entirely owned by the Versace family. While the collection is known for its flashy, embellished style, this spring the looks that came down the runway put more emphasis on cut and volume than shimmer and bling. 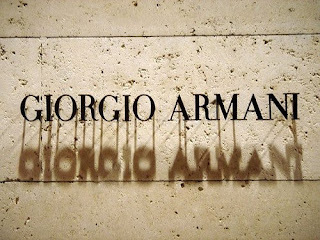 Giorgio Armani, 74, is the sole shareholder, president and chief executive of the designer brand. 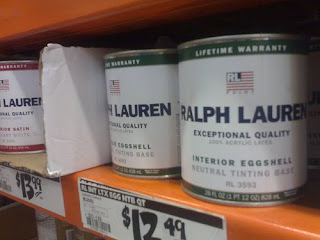 The fashion and luxury goods group manufactures, distributes and sells everything from apparel to cosmetics to home interiors under a range of seven brand names, but it is best known for its menswear. After a stint as a Brooks Brothers tie salesman, Ralph Lauren, 69, started his powerhouse brand 42 years ago with a collection of ties. Today there are over 35 boutiques in the United States. The company offers three collections: Polo is the fast-fashion-fix line for the young metropolitan male; Black Label is a more upscale, edgier version of city dressing; and Purple Label is the ultimate deluxe line. The designer has a personal fortune of $4.2 billion. 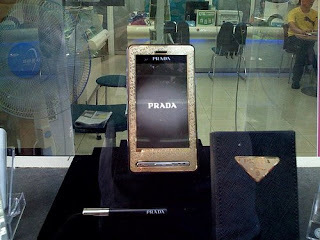 Milan-based Prada was founded as a leather goods company in 1913 by Mario Prada. His granddaughter Miuccia inherited the company in 1978 and grew the business into a fashion apparel company. Her claim to fame was the signature Prada nylon handbag, which helped turn the family company into a billion-dollar business.